Each business needs to assess both functional and non-functional requirements of a software application to make it popular in the longer run. While testing the application, QA professionals must perform a variety of tests to ensure that it meets all requirements and specifications of the client. At the same time, they also need to focus on the non-functional requirements of the project to assess the application’s usability and user experience accurately. So the testers must know the major differences between functional and non-functional software testing. Functional testing is a type of black-box testing which is performed to check if the software application meets the predefined requirements and specifications of the business. The functional testing results helps managers to take crucial decisions related to the software’s promotion and release. But non-functional testing is performed with the objective to assess the user experience delivered by the application. The testers perform various types of tests against the non-functional requirements to check the amount of time required by the software to respond to user requests or perform specific actions. The testers need to perform a variety of tests to assess the features and functionality of the software. While assessing the functional requirements, they have to perform unit, system, integration, interface, smoke, sanity and user acceptance testing. Likewise, the QA professionals have to perform various tests to assess the non-functional requirements of the application. They have to perform security, usability, performance, load, installation, configuration, compatibility, interoperability, maintainability, and recoverability testing to check the application’s user experience. However, the types of functional and non-functional testing required by individual projects differ. 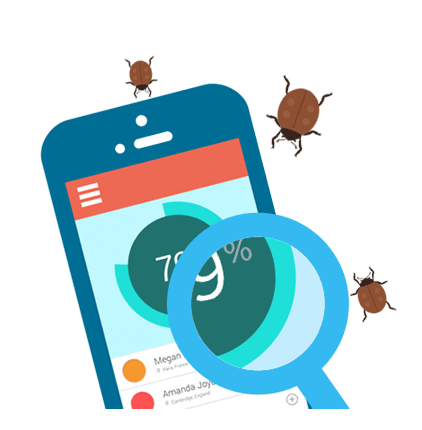 Often the functionality of an application is impacted by bugs or defects. So the testers need to perform functional testing to identify and eliminate all bugs to make the software meet business requirements exactly. Thus, various types of functional testing aim to identify the bugs or flaws in a software application. On the other hand, the testers are not required to identify defects of bugs in an application while performing non-functional testing. While performing non-functional testing, they have to focus on the software’s user experience and behaviour in different conditions. Functional testing and non-functional testing are performed based on different criterions or parameters. While assessing the functional requirements, the testers have to keep in mind both positive and negative criterions. However, they have to submit valid inputs to check if the software generates the desired output and behaves in the expected manner. They also need to submit invalid inputs and perform invalid operations to check the application’s behavior in unexpected conditions. On the other hand, while performing non-functional testing they have to consider the criterions that are not considered while performing the positive and negative functional tests. A business can reap a number of benefits by automating both functional and non-functional software testing efforts. The test automation tools will help QA professionals to perform a variety of tests repeatedly and frequently. Also, the tools will help the managers to obtain more accurate and reliable information about the functional and non-functional aspects of the software. However, it is always important for the business to pick the right automation tool for each type of functional and non-functional tests. The testers can use the tools to perform load, performance, compatibility and stress testing repeatedly. But they have to write custom test scripts to perform positive and negative functional tests under various conditions. It is also important for a business to focus on both functional and non-functional requirements to make the software testing strategy more comprehensive and effective. However, the business must clearly define the functional and non-functional requirements to make it easier for testers to perform all required tests. I am extгemely impressed ԝіth your writing skills and also with the layout on your blog. With other complementing colors, draw different patterns such as rainbow. roulette, this might be the best game for you.